Welcome to my May 2015 Endurance Path Monthly Report! I had a busy month of racing that included Time Trials, Criteriums and Mountain Bike Races. I had some big lessons learned in making sure my equipment is working well before a race and have maintained my weight. As always, any feedback is greatly appreciated. If there is something specific you would like to see or do not want to see in these monthly updates, please leave a comment or send me an e-mail through my Contact Me page. My intention is to share quick highlights of any endurance racing, training, nutrition, health and any other fun endurance sport related activities that I experienced this month. A picture of my son cheering me up Mt. Kato. A lot of racing in the month of May. I did my first Time Trial on my road bike, finished out the Tuesday Night Worlds Criterium Series and competed in 2 Mountain Bike Races. I feel like I am getting stronger each race and have made big improvements over last year. I have a long ways to go to get where I want to be, but I am proving that a guy in his mid 30s can lose some weight, get in shape and be competitive. I am starting to get this figured out. I was in the top 7 on the 1st sprint and then won the 3rd sprint. I completely blew up though, after winning the 3rd sprint. I took a lead out way too early, but held on to it resulting in completely blowing up after coming across the line and almost got dropped before the last sprint. That being said, my goal for this race was to win a sprint lap… Goal accomplished. This was my first Time Trial race. I have done many threshold pulls on my road bike by myself and was anxious to see how I would stack up in a race. I raced in the Open Stock Class where aerodynamic equipment is not allowed on your bike, but you can wear aero equipment such as a skin suit, aero helmet and shoe covers. I don’t have any aero gear and just raced with my normal road riding gear. I was a little disappointed in my finish of 6th place. I was within .2 second of 5th place, but over a minute back from 3rd. I definitely could have gone faster and never really completely pushed the pain envelope. In general though, not bad for my first one. I was struggling for most of this race. I had done the Insanity Plyometric Cardio Circuit workout the day before the race, which turned out to be a bad idea. Never do a new workout or something you haven’t done in quite a while the day before a race. I was close to going for one of the early sprints and top 10 on the forth sprint before getting dropped off the back of the pack and barely hanging on for the last 3 laps. Also, I wasn’t paying attention to lap count again and didn’t realize we were going for 15 laps versus the 12 that we had been racing up to this point. This race was a disaster for me and I was glad to get some kinks worked out for the season. This is why you need to do a few shorter races before jumping into your primary races. I crashed, bent a derailer hanger, broke a spoke and a couldn’t hold the right gear the entire race because of a loose cassette. It was a mess, but I finished. The good news is, I feel like I belong racing in the Comp class after this race and have some confidence. 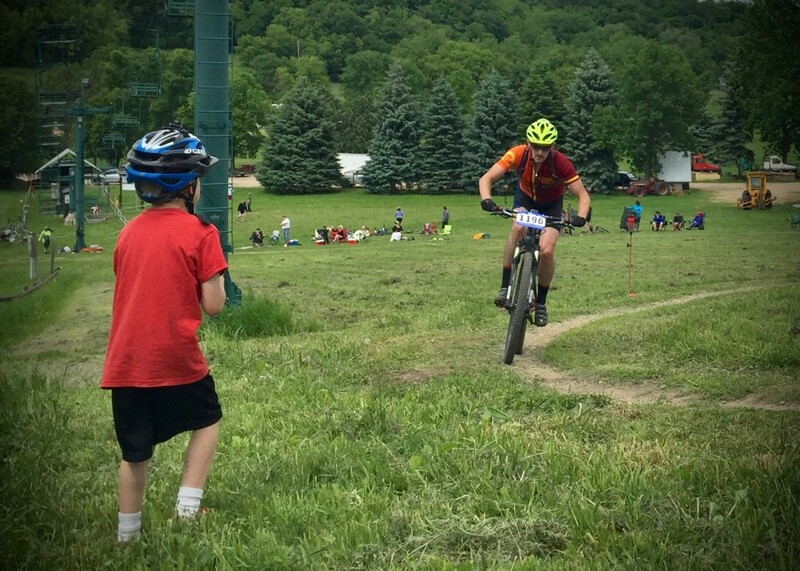 Woolly Bike Club Race Report – CLICK HERE! This was the last race of the series and we were hammering the pedals pretty hard. It was our fastest average speed for the season. I gave a solid effort on the first 3 sprints, but wasn’t quite positioned enough be close. I dropped off the back after lap 9 to get a rest and almost got dropped, but was able to jump back on before lap 11. I worked my way back up toward the front and jumped in a lead out line about 4 back, going into turn 3 on the last lap. Coming out of turn 4 on the last lap, I went for it. I was able to get a lead, but couldn’t quite hold on to it all the way through the finish. I was excited about my finish here and know that I can still go faster. I am currently sitting in 5th place overall for the season, but am confident I can get myself up to 3rd . I will need to pick up an entire mph to get myself in 1st place for the season. This was a good race for me. It shows that I am improving and I know I can be competitive in this class. There was a ton of climbing, as this race was on a ski slope and I got through the climbs ok. I did pretty decent on the technical sections as well. Climbing is still the area for me to work on. It is more the repetitive climbing that I really need to work on. I am also learning how to pace myself well in a race. Now, I just need to carefully pick up that pace. 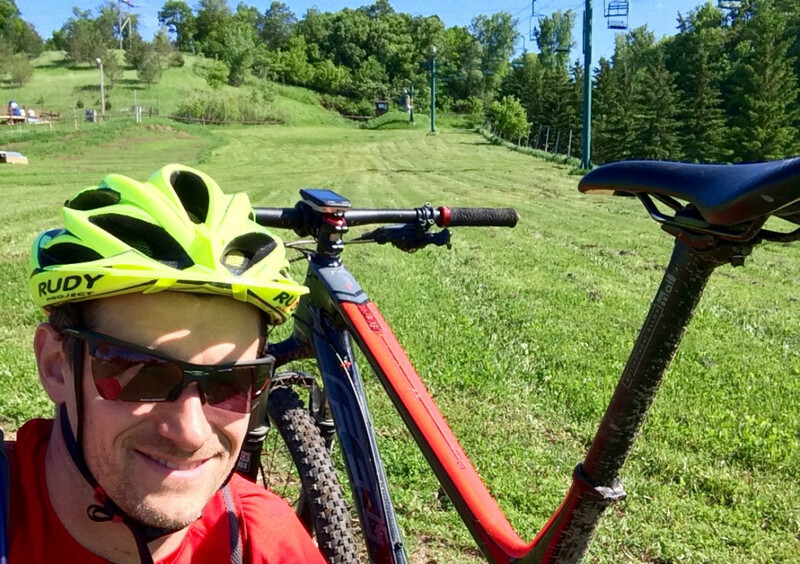 Bluff Riders Charge Race Report – CLICK HERE! All races are included in the mileage and session counts. I count a warm up and race as only 1 session, so if you are following me on Strava, the session count on Strava will be higher than this monthly report. I would like to have put in more miles, but I did get a bit distracted with some of the racing. I need to learn how to continue training with these early season races. I am not quite ready for the Lutsen 99er yet, based on the goals I have in mind for it. I will get some heavier training sessions in during June to get myself ready. Last year, I finished in 9 hours and 12 minutes, but I would like to knock some serious time off that for this year. My longest ride this month was 62 miles. I was hurting at the end of it and should look for a new seat and shorts soon. My road seat is 10 years old and is showing its age. If you have any suggestions on seats, please comment below. I would really like to hear what people are using. Also, I am looking for some suggestions on shorts. I only have 1 pair of road shorts and they are 2 years old now and ready for replacement. I am thinking about switching to bibs for the long races and rides. Again, any suggestions on brand and/or model would be appreciated. Just eggs, either scrambled or fried. 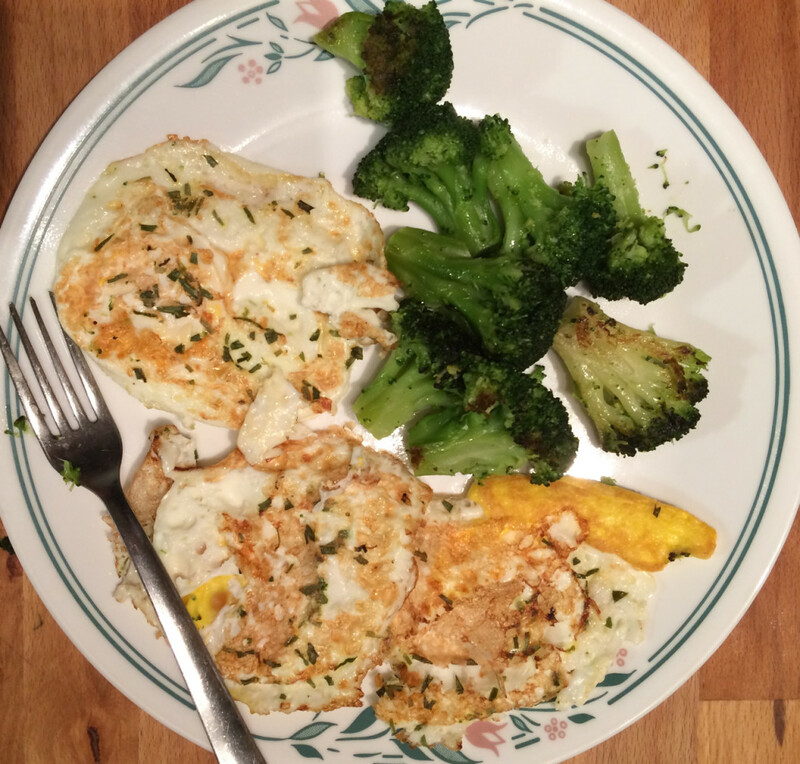 Eggs with vegetables such as spinach, broccoli and/or cauliflower. Eggs with lentils on occasion, which is a recommendation from Tim Ferriss. Egg sandwich on whole wheat or whole grain toast. I am much less consistent with the rest of my meals, but I do tend to eat more often during the day with fewer calories at each meal. Dinner usually consists of a meat and vegetable. Sometimes a bread is added if hamburgers are on the menu. The point is, I don’t tend to over eat much except on pizza night. To be clear, our pizza night is our own homemade pizzas. The kids love it and we each make what we want. Mine is usually a thin crust, olive oil, cheese, diced tomatoes, artichokes, green olives and pepperoni. I occasionally post a #cheatday picture on Twitter. With some of my longer rides and tougher races, I may finish the evening off with a couple more eggs before I go to bed. I think the protein is good in them and they don’t keep me awake at night. I have maintained the same weight this month. I am not going to use the body fat % anymore as it fluctuates too much on my old scale for it to be of any value here. In general, I feel slightly leaner than I was a month ago, so hopefully that means, I have put some leg muscle on. I have been feeling really good, aside from a few of my recovery days where I may have worked out a little too hard the day before. I tend to push it sometimes more than what I may be ready for. I am learning to dial back when I need to. I am just a little bit impatient and want to get to a peak fitness as fast as possible. If you have any thing specific you would like to see on the website, please leave a comment below. I updated to a new theme this past month that seems to be a little better to work with and I will be working on new content. I had another good month with some new challenges and accomplishments. Just like the previous month, I still need to pick up the training a bit more if I am going to be more competitive. I still tend to struggle with recovery and I am working on figuring that out, whether it be sleep, food or overtraining when I do train. I hope you found this update useful, whether it be insightful or inspiring. As I mentioned above, please leave a comment below or or send me an e-mail through my Contact Me page if you have any questions or comments. If you found this useful and think someone else would benefit from reading and following my blog, please share with your friends through Facebook or Twitter. Thanks!